Close-up magic is often called “Magic of the Hands.” It is an intimate style of magic performed mere inches or feet from you and your guests. 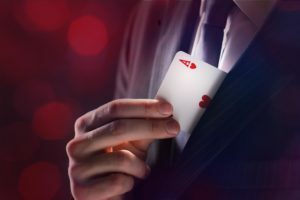 Close-up magic is often performed with playing cards, coins and other common objects. 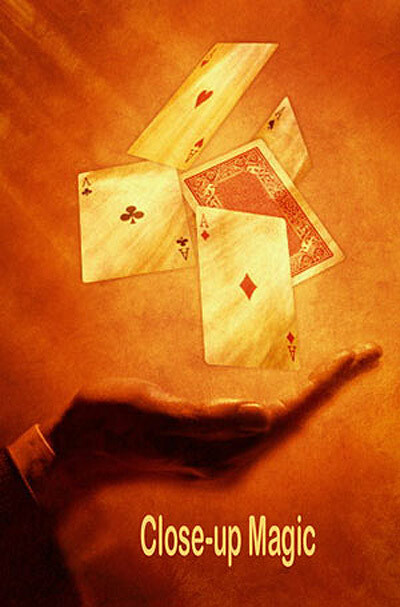 Close-up magic is considered the most versitile and popular style. Guest’s love the intimacy and party hosts are thrilled to have entertainment that moves to and around the guests. Where is Close Up Magic Performed? 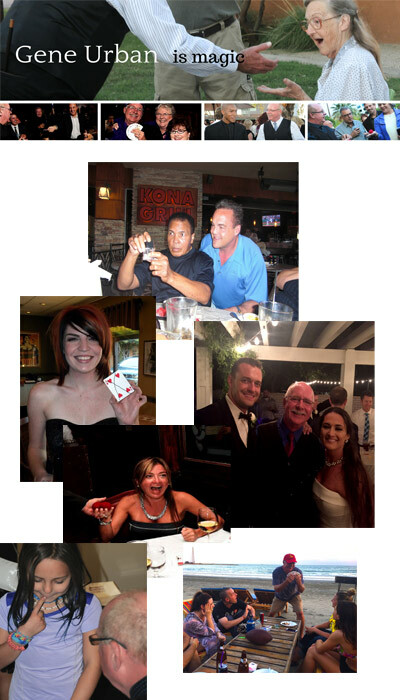 Close-up magic happens anywhere guests are standing, sitting, milling, waiting, In your home, at a resort, even on the beach. Gene makes magic happen in front of your eyes. At a recent Gala, Gene strolled among the guests. 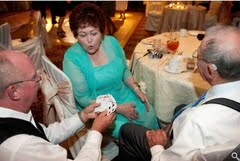 During an April wedding in Santa Barbara, Gene entertained guest seated at their tables. 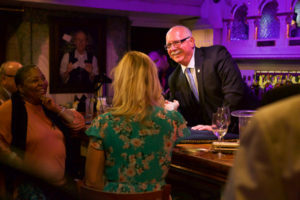 In Santa Ynez last month, the host had Gene perform from a stationary table where guests came to him. 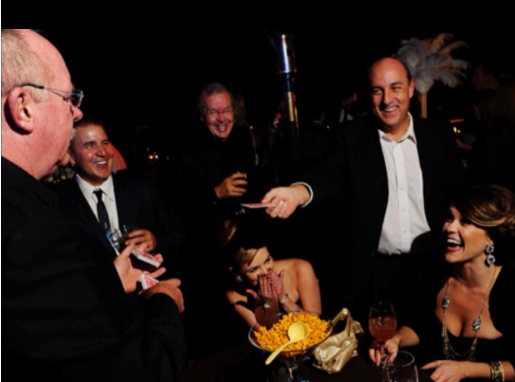 Close-up magic is versatile, so it can fit what works best for your party or event. 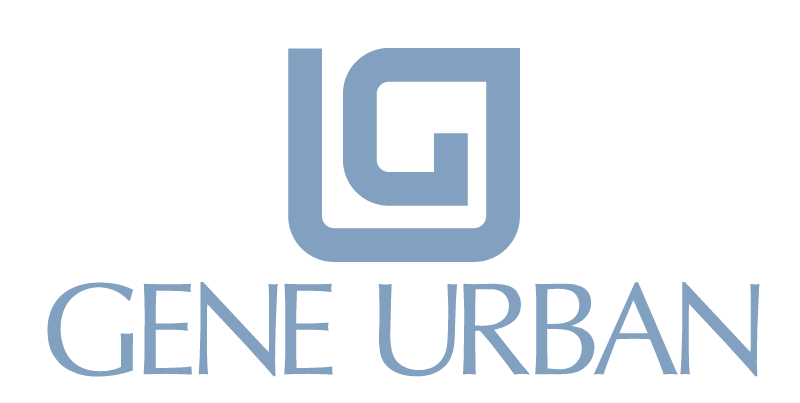 Gene will add moments of wonder and awe to your event. 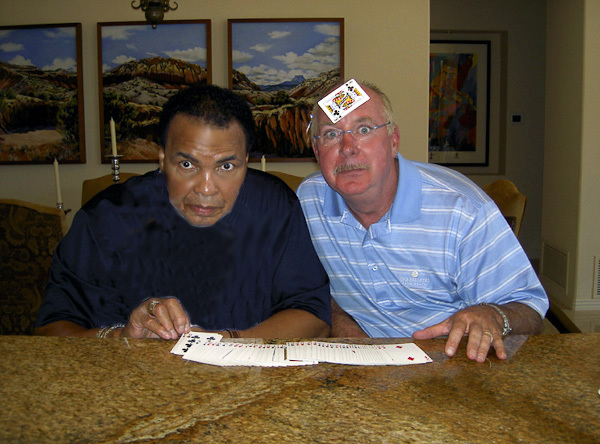 There is a reason so many party planners and hosts bring Gene in for their special events… Guests love him! He has a warm performance style and a way with people that is wizardry in itself. Top that with Gene’s incredible magic and you have entertainment that is like a fabulous desert… tasty and delicious.